Garage Door Repair Acton feature 24 / 7 Emergency Repair, Commercial & Residential Service. Over 30 years of experience in the garage doors and gate industry we offer free estimates on all of our services. We are trained and certified Garage Door Repair Company, that means that every technician on our team is a professional in his/her job and expertise. We have dealt with any possible Garage Doors Service and we have came out successful in all of our service calls. There is no job tough enough for Garage Door Repair Acton. Whether the garage door has collapsed or misaligned, fell off track, failed door opener, broken drum roller, or simply needs a grease up to stop a squeaky noise, we are here 24/7 with free estimate on your Garage repair! Raynor Door Authority specializes in the installation and service of garage doors. We feel strongly that your garage doors can substantially increase your home's curb appeal. From the beginning of your project to its completion, our sales staff and technicians will make sure that your project runs smoothly. When you want a new garage door installed or an old garage door repaired or maintained, we're the pros you need to see! You can count on us for all your door service and installation needs! Contact us today! Our 3 senior sales executives combine 80 years of residential and commercial garage door industry experience. These seasoned professionals have dedicated their careers to this business, and our customers feel immediately at ease with their caring attention and expertise! About Us: Mike Babineau is the General Manager of Raynor Door Authority of New England and the sales representative for New Hampshire and Southern Maine. Mike has been in the garage door industry for 25 years. He lives in Manchester, NH with his wife and has 4 children. 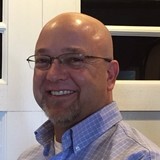 Marc St. Jean is the sales representative for New Hampshire and the Seacoast area. He has been in the garage door business for many years. He lives in Auburn, NH with his wife and 2 children. When you contact Saugus Overhead Door, not only do you get a quality garage door product, you also get our dedicated and customer service oriented sales team to assist you through every step of your purchase. If you are a homeowner, contractor, or business, give us a call at (888) 837-9910 toll free. 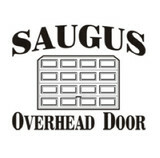 Saugus Overhead Door is your one stop source for all of your garage door needs. Showroom by appointment. With over 35 years of experience, garage doors are no mystery to us. We carry only the best and most reliable brands, because we know how important it is to be fully satisfied with an investment of this kind. Teamed up with Garaga, the leading manufacturer of garage doors in North America, we will help you find the perfect match for your home, or any commercial or agricultural project. Garage door sales, installation, service and garage door repair by Fimbel Garage Door in Merrimack & Epping, New Hampshire. Garage doors from quality home and industrial manufacturers, call 1-800-556-9786. Laurent Overhead Door Systems, Inc.
Laurent Overhead Door Systems is a garage door specialist for residential, commercial, agricultural and industrial applications, proudly serving Central New Hampshire. We would love for you to visit us at 35 Mechanic Street in Laconia. There, our team can give you personalized advice in purchasing a garage door, an installation that meets the highest industry standards, and unequalled after-sales service thanks to our maintenance and repair program. Our full range of products also includes electric garage door openers as well as many other accessories to go with your garage door. Think of us when it comes to buying, installing or repairing any type of garage door. We also sell over the counter to the Do-it-yourselfers. Our employees are ready to give you the fastest service in the industry. Our Showroom is open Monday to Friday from 7 AM to 4:30 PM or Saturday by appointment. I invite people from Meredith and Moultonborough to come and visit us, and on behalf of our entire team, I thank you for considering our company. Seacoast Overhead Door Inc. is a garage door specialist for residential and commercial applications, proudly serving the Seacoast & Southern New Hampshire area. Our team can give you personalized advice in purchasing a garage door, an installation that meets the highest industry standards, and unequalled after-sales service thanks to our maintenance and repair program. Our full range of products also includes electric garage door openers as well as many other accessories to go with your garage door. Think of us when it comes to buying, installing or repairing any type of garage door. I invite people from Dover, Portsmouth, Rochester and surroundings to contact us, and on behalf of our entire team, I thank you for considering our company. 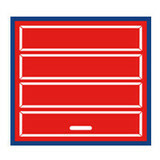 Beverly Overhead Garage Door Co., Inc is a family owned business that has been around for over 60 years. Beverly Overhead Garage Door takes personal pride in the work they do with exceptional service and professionalism. Second generation owner, James Mitchell, gets involved in every job. Complete customer satisfaction is his number one goal for residential and commercial clients. Jim would never suggest a door or motor that he wouldn’t install in his own garage. Between Jim and his staff, they have over 85 years of garage door installation experience. Subcontractors are never used at Beverly Overhead Garage Door. Their trucks, scissor lift and tools are state of the art equipment which provides customers with a guaranteed quality job each and every time. Beverly Overhead Garage Door professionals are your experts to call for installation and repair of overhead garage doors and garage door openers for both residential and commercial needs. Lowell Overhead Doors has been in business since 1997. In that time, we have developed a reputation for providing top-quality products and prompt, timely service. We are family owned and operated, which means we take pride in out workmanship. Our service technicians are skilled in returning almost any door to its original operating condition. Problems such as broken or weak springs, broken or frayed cable, and worn pulleys or rollers can be easily replaced at a fraction of the cost of a new door. We also specialize in the replacement of rotted-out or broken sections. American Garage Door and Glass is the premier provider of garage doors and glass installations, serving homeowners, architects, businesses and contractors since 1985. We carry a full line of high quality door & glass products including residential steel & wood, traditional and carriage house doors, commercial overhead doors, rolling steel doors, security doors, garage door openers, garage door remote controls and related parts & equipment. Our glass products include custom storefronts, plate glass, safety glass, insulating glass, plexiglas, mirrors, shower enclosures, replacement windows and more. Our total commitment to customer satisfaction is why American Garage Door & Glass is your first choice for door and glass installations. We are fully bonded, insured, and serve residential and commercial customers in eastern Massachusetts and New Hampshire including national corporate accounts and municipalities. 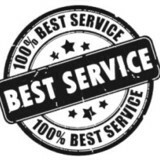 We pride ourselves in delivering outstanding customer service and all our work is guaranteed. American Garage Door and Glass also provides 24 x 7 emergency service, 365 days a year. Come visit our garage door showroom, conveniently located off Route 495 in Tewksbury MA, call us or click here for a free quote. Contact us to find out how we can help you reduce your heating bill with our Energy Star Certified Doors! Overhead Garage Door Boxford | Garage Door Repair. What kind of services do Hillsboro, NH garage door dealers and installers provide? Garage door professionals specialize in the selection and installation of residential garage doors and openers that fit your budget, style and needs. This includes choosing a garage door style — or designing a custom garage door — that blends in with your home’s exterior, selecting materials, determining a technological system that supports your security and access needs, determining proportions and dimensions, finalizing decorative designs and ensuring that everything meets New Hampshire compliance and building codes. Find garage door sellers and installers in Hillsboro, NH on Houzz. Narrow your search for Hillsboro, NH garage door sellers and installers by selecting the nearest city or zip code. Look at portfolio and product photos, and read reviews to find the best Hillsboro, NH garage door professional for your home.